Though it is an occupation that is sometimes glamorized by popular shows, the career of private detectives and investigators is stressful, at times even dangerous with working hours that are irregular at best. Sometimes called a private detective, a private detective agencies provides surveillance of people, businesses, and institutions. With investigative research and information that is public but difficult to gain access to, private investigators can help separate fact from fiction. The primary duties of a private investigator are to gather information and verify facts in the field of corporate, legal, and financial intel. 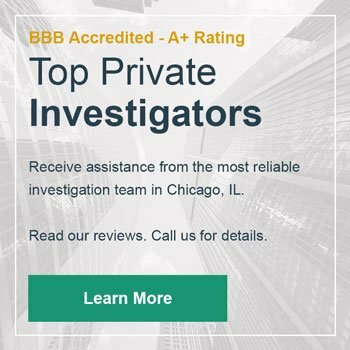 Many choose to work with private investigators since some have a background in law enforcement, military, or government investigation in some capacity. Private investigators are confrontational, assertive, and outspoken when you aren’t able to. No, we cannot impersonate law enforcement. Even though having a background in law enforcement tend to be a common factor in most careers in private investigation, we aren’t able to represent them. PIs aren’t allowed to wear badges or uniforms like a police officer or a federal worker. This prevents any individual – including the private investigator – from misleading anyone. Depending on the state, private investigators have an opportunity to wear badges indicative of their private investigative work – but they are separate identities from the police. In most cases, we cannot operate without a license. Depending on the state and jurisdiction, there are extensive licensing laws that private investigators need to adhere to. For example, in the state of California, investigators must complete thousands of hours of paid investigative work as an apprentice to a fellow license investigator over the course of 3 years. We are not above the law. We are limited to the amount of information that we can obtain and reveal. Throughout our investigative work, we cannot harass individuals, businesses, trespass on private property, or hack anyone’s computer without permission. We cannot break the law on your behalf. We are not able to trespass. As mentioned, we take the laws very seriously. A private investigator will not, under any circumstance, trespass. We cannot enter a building, property, or a home through any illegal means. In most cases, a private investigator will need a verbal or written agreement to enter someone’s property. The only time that a private investigator can somewhat trespass on a property is if they are working as a process server and are delivering legal documents. We adhere to ethics. Something unethical would be putting an individual in danger or obtaining information from peripheral people for non-investigative purposes. A common request is looking up private information from a former friend or classmate just for your leisure – we work under the parameters of an investigation and do not provide sensitive information outside of that objective. We do not open enclosed mail. Simply put – it’s a federal offense, and we are not above that legal mandate. The legal validity of a GPS tracker on a vehicle is questionable. This is a request for many clients, especially those who believe that their spouses are unfaithful. Understand that the GPS trackers can only be placed on a car with consent. However, if your vehicle is under your name and your spouse simply operates it, then you can fix a GPS tracker if you wish. If you are an employer who wants to track an employee, then you cannot place a GPS tracker on your employee’s personal car – however, you have legal jurisdiction to install one if the employee is driving a business vehicle. You can hire a private investigator if you need a background check. Often hired by law firms, a private investigator can work in tandem with a corporation or a private citizen to perform background checks on individuals. We can conduct interviews, gather and verify any relevant information, and search public domains for information pertinent to the case. Private investigators are also used to surveillance a spouse who is suspected of infidelity. Depending on the nature of the case, two investigators can work together to surveil a person and better track their whereabouts. In the event of a missing individual, a private investigator can use public records that may be difficult to gain access to for the everyday citizen to help locate a missing person. Private investigators go beyond helping individuals – they also useful for businesses. Private investigators can offer pre-employment screening on applicants. If you do not have already a third-party to verify references, we can do that for you as well as notify you of any past convictions and public financial activity. If you are about to enter a partnership with a business associate, then a background check may also be advantageous to you and ultimately your relationship. We can help expose any suspicious activity that may be fraudulent or problematic. You will have a comprehensive picture of a business partner before you overlap business objectives. A private investigator offers viable services to help you in an array of situations from infidelity, criminal activity, and background checks and beyond. 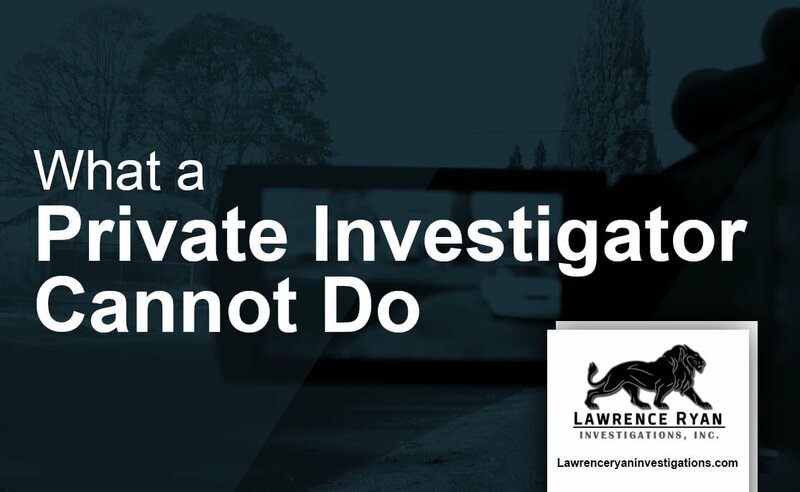 Contact Lawrence Ryan Investigations, today.